Dana Corporation, currently operating as Dana Holding Corporation, was established in 1904 by a 29-year-old engineering student. After inventing a breakthrough car part, the Spicer Universal Joint, Clarence Spicer left Cornell University to found an automotive parts business in Plainfield, New Jersey. Spicer originally incorporated his company as the Spicer Universal Joint Manufacturing Company in 1905, but changed the name to Spicer Manufacturing Company four years later. Spicer provided a wide range of automotive parts to companies like Buick, Wayne, Mack, Olds, Stevens-Duryea and American Motor Car Company. Some of these parts contained toxic asbestos materials, which made the company vulnerable to a slew of asbestos personal injury claims in decades to follow. By 1914, the Spicer Company struggled with financial difficulties. Attorney and financier Charles Dana invested in the company shortly after, assuming the role of president in 1916. The Spicer Company relocated to Toledo, Ohio in 1928 and became the Dana Corporation in 1946. Two years later Charles Dana was named chairman of the board, and a series of acquisitions brought his company decades of success following World War II. Dana Corporation continued to expand its product line, purchasing automotive part suppliers such as the Perfect Circle Corporation in 1963 and the Victor Gasket Manufacturing Company in 1966. By 2006 Dana Corporation once again faced financial problems, and the company filed for bankruptcy protection that year. Dana Corporation asserted that its asbestos liabilities, which totaled only 3 percent of its total debt in 2006, were not responsible for the bankruptcy. The previous year, however, the company defended a total of 88,000 pending asbestos claims. Dana began reorganization in December 2007. Now known as Dana Incorporated, the company has been on the Fortune 500 list for 24 years, generating sales of nearly $7.2 billion in 2017 alone. On Dec. 30, 2016, the company established Dana Companies LLC, a consolidated, wholly-owned company created as part of the 2008 bankruptcy reorganization to hold and manage personal injury asbestos claims. After completion of that sale, Dana Incorporated has no obligation with respect to current or future asbestos claims. According to Dana’s 2017 filing with the U.S. Securities and Exchange Commission, the company had approximately 25,000 active pending asbestos personal injury claims as of Dec. 31, 2015. The biggest litigation against Dana Corporation to date came in 2017 in the case of Marlena Robaey, who was diagnosed with peritoneal mesothelioma in November 2012. Dana and four other manufacturers of asbestos automotive components were found liable for Robaey’s injuries. Robaey assisted her husband with repairing asbestos-containing car parts for more than 20 years. In the 2017 case, a New York jury ruled that Dana was 40 percent liable for her injuries. The overall award of $75 million to Robaey and her husband stands as the largest single mesothelioma verdict in the state’s history. In 2008, a group called the Ad Hoc Committee of Asbestos Claimants appealed Dana Corporation’s recently accepted reorganization plan to emerge from bankruptcy. The committee believed the company hadn’t set aside enough money to settle current and future asbestos claims. Dana Corporation responded to the committee’s concerns, noting that it set aside $240 million in cash and other assets to cover future asbestos liabilities. The company based this figure on the number of active cases pending and the number of dismissed cases. Exposed to Asbestos at Dana Corporation? In one notable asbestos lawsuit, a former pipefitter sought recovery for his asbestos-related injuries in 2002. Louis Hicks filed the lawsuit against the Dana Corporation and 10 other asbestos companies after developing mesothelioma, a cancer that was caused by exposure to asbestos products he worked with over more than four decades. Although Hicks passed away from his disease in 2003, his daughter continued the suit. The court found all 11 manufacturers responsible for Hicks’s illness, ordering them to pay his estate $5,000,000. Because ample evidence proved that Hicks was exposed to Dana Corporation asbestos gaskets, the company was ordered to pay Hicks’s estate $464,605.65. Dana Holding Corp. had about 31,000 active pending asbestos claims as of June 30, 2010. Approximately 11,000 inactive claims were settled and waiting for final documentation before dismissal. In 2010, the company estimated that its asbestos liabilities would extend through the next 15 years. For decades, the Dana Corporation provided an array of asbestos-containing products to standard and heavy-duty vehicle manufacturers. Thousands of individuals, ranging from automotive production workers to mechanics, have developed asbestos-related illnesses after exposure to these contaminated parts. A common pathway for asbestos exposure is brake work, as replacing deteriorating asbestos brake pads can stir up dangerous levels of airborne fibers. Such conditions put any unprotected shop worker in the vicinity at risk for lung cancer, mesothelioma and other diseases. Dana Corporation also manufactured asbestos-containing gaskets, which may have affected the health of boiler workers, engine room workers and steam fitters. 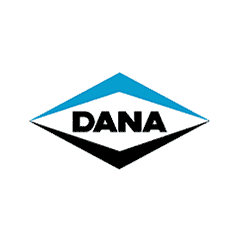 Dana Corporation products manufactured with asbestos ingredients include brake pads, brake linings, thermal management products, gaskets and seals. Asbestos could also be found in products that transmit power, such as universal joints, drive shafts, transmissions and axles. In 2007, the company settled 7,500 claims involving asbestos gaskets. Dana announced it would pay a maximum of $2 million to settle all claims. While the Dana Corporation has not established a trust fund to compensate all individuals harmed by its asbestos products, the company did create a Voluntary Employee Beneficiary Association (VEBA) trust fund for former employees of the company. Replacing welfare and long-term disability benefits, the VEBA trust covers asbestos-related medical expenses for participants and their families. To fund the trust, Dana Corporation contributed approximately $700 million cash and $80 million in company stock.